SiFive raised $50 Million in funding. SiFive is a semiconductor working on two fronts: they want to democratize silicon prototyping, and they’re the people making the HiFive series of microcontrollers and SoCs. The HiFives are built on the RISC-V instruction set, a Big-O Open instruction set for everything from tiny microcontrollers to server CPUs. With RISC-V, you’re not tied to licensing from ARM or their ilk. 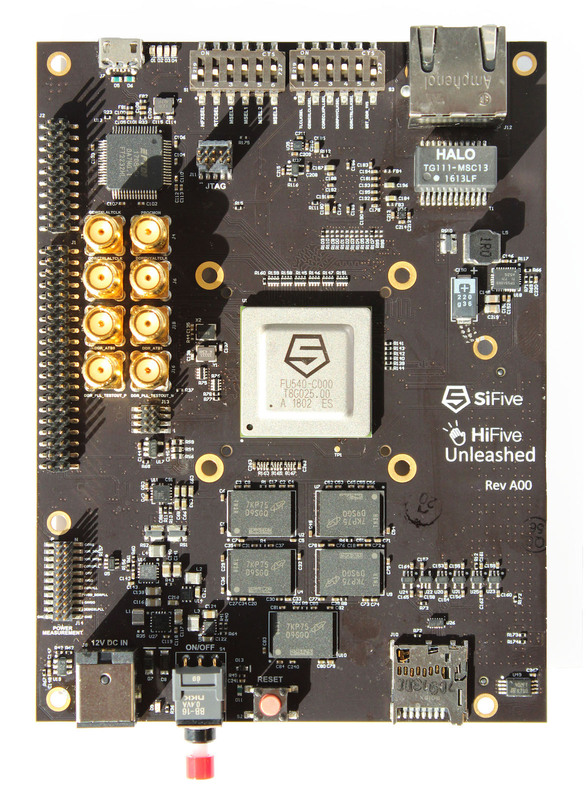 Recently SiFive introduced an SoC capable of running Linux, and the HiFive 1 is a very fast, very capable microcontroller that’s making inroads with Nvidia and Western Digital. The new round of funding is great news for anyone who wants Open Source hardware, and the silicon prototyping aspect of it is exceptionally interesting. Great news for SiFive. Guess what’s in just a few weekends? The Vintage Computer Festival Southeast. The VCFSE is Hotlanta’s own vintage computer festival, with a whole host of speakers, exhibits, and consignment to tickle those vintage dopamine receptors. On deck for the speakers is [Michael Tomczyk], one of the people responsible for the VIC-20, and [Scott Adams], no the other [Scott Adams], creator of adventure-style games for personal computers but not that adventure-style game. The exhibits will include Japanese retro computers, simulating an ENIAC and a mechanical keyboard meetup. If you’re around Georgia, this is an event worth attending. Conference season is just around the corner, and you know what that means. It’s time to start ramping up for #badgelife. What is badgelife? It’s a hardware demoscene of electronic conference badges. This year, the badgelife scene has stumbled upon something everyone can get in on. Add-ons! They’re electronic hats (or shields, or capes) for all the badges. Physically, it’s a 2×2 pin header. Electronically, it’s power, ground and I2C. Want to prototype your own add-on? Good news, there’s a development board. The Titius-Bode law states the semi-major axes of planets follow a geometric progression. The (simplified, incorrect) demonstration of this law states Mercury orbits at 0.25 AU, Venus at 0.5 AU, Earth at 1 AU, Mars at 2 AU, and continues to the outer planets. The Titius-Bode law is heavily discredited in the planetary science community, and any paper, talk, or manuscript is rejected by scientific editors out of hand. The Titius-Bode law is the planetary science equivalent of flat Earth conspiracy theories and Nazi moon bases; giving any consideration to the idea confirms you’re a moron. This week, some consulting firm posted something that is the Titius-Bode law on their blog. Why? So it could be submitted to Hacker News for that sweet SEO. This submission was upvoted to the top position, and is a wonderful springboard to argue an interesting point on media literacy. I posit the rise of news aggregators (facebook, twitter, digg, reddit, and HN), is the driving force behind ‘fake news’ as lay people become the gatekeepers. Prove me wrong. The Department of Homeland Security has confirmed there are cell-site simulators (Stingrays, IMSI-catchers, or otherwise known as your own private cell phone base station) around Washington DC. It’s unknown who is operating these simulators, or even where they are. There are two things to read between the lines with this information: Duh, there are rogue Stingrays in DC. Holy crap duh. I bet there are also some around midtown Manhattan. You can buy the stuff to do this on eBay. Personally, I’ve found half a dozen Stingrays or other rogue cell stations this year (guess where?). Second, why is this a news item now? Is this a signal that the DHS will start clamping down on stuff you can buy on eBay? Hop to it, people; cellular hardware is a great way to make a liquid nitrogen generator. Slowly but surely, RISC-V, the Open Source architecture for everything from microcontrollers to server CPUs is making inroads in the community. Now SiFive, the major company behind putting RISC-V chips into actual silicon, is releasing a chip that’s even more powerful. At FOSDEM this weekend, SiFive announced the release of a Linux-capable Single Board Computer built around the RISC-V ISA. It’s called the HiFive Unleashed, and it’s the first piece of silicon capable or running Linux on a RISC-V core. The HiFive Unleashed is built around the Freedom U540 SOC, a quad-core processor built on a 28nm process. The chip itself boasts four U54 RV64GC cores with an additional E51 RV64IMAC management core. This chip has support for 64-bit DDR4 with ECC and a single Gigabit Ethernet port. Those specs are just the chip though, and you’ll really need a complete system for a single board computer. This is the HiFive Unleashed, a board sporting the Freedom U540, 8GB of DDR4 with ECC, 32MB of Quad SPI Flash, Gigabit Ethernet, and a microSD card slot for storage. If you don’t mind being slightly inaccurate while describing this to a technological youngling, you could say this is comparable to a Raspberry Pi but with a completely Open Source architecture. News of this caliber can’t come without some disappointment though, and in this case it’s that the HiFive Unleashed will ship this summer and cost $999. Yes, compared to a Raspberry Pi or BeagleBone that is an extremely high price, but it has to be borne in mind that this is a custom chip and low-volume silicon on a 28nm process. Until a router or phone manufacturer picks up a RISC-V chip for some commodity equipment, this architecture will be expensive. This announcement of a full Single Board Computer comes just months after the announcement of the SOC itself. Already, GCC support works, Linux stuff is going upstream, and the entire Open Source community seems reasonably enthusiastic about RISC-V. It’ll be great to see where this goes in the coming years, and when we can get Linux-capable RISC-V chips for less than a kilobuck. Early this year, the world of electronics saw something amazing. The RISC-V, the first Open Source microcontroller was implemented in silicon, and we got an Arduino-derived dev board in the form of the HiFive 1. The HiFive 1 is just a bit shy of mindblowing; it’s a very fast microcontroller that’s right up there with the Teensy when it comes to processing power. There’s support for the Arduino IDE, so all those fancy libraries are ready to go. That’s not to say there aren’t a few problems; it’s a relatively expensive board, and it does use the ubiquitous but somewhat unfortunate Arduino form factor. In the past few months, SiFive, the folks behind the FE310 microcontroller inside the HiFive 1, have been working to get bare chips out on the market. Now, those trays of microcontrollers are being turned into newer, slightly more development-friendly boards. Meet the LoFive RISC-V. It’s a GroupGets crowdfunding campaign from [Michael Welling], and it takes all the openness from the HiFive 1 and the FE310 microcontroller and stuffs it into a cheap, easy-to-use board. Like the HiFive 1, the LoFive features the FE310 microcontroller and a 128 Mbit SPI flash. Unlike the HiFive 1, there’s not much else on this board. There’s a few voltage regulators, a crystal, some caps, and a button on an interrupt pin. If you’re looking for an Open Source microcontroller development board without a lot of cruft, here you go. This is a RISC-V microcontroller with the minimum amount of support circuitry. The GroupGets campaign is offering up 1,000 of these little boards for $25 each plus shipping. If you’ve been looking for an excuse to play around with Open Source microcontrollers, this may be the best chance you’re going to get for a while. What is a 1971 Ford Torino worth? It depends, but even a 2-door in terrible condition should fetch about $7 or $8k. What is a 1971 Ford Torino covered in 3D printed crap worth? $5500. This is the first ‘3D printed car’ on an auction block. It looks terrible and saying ‘Klaatu Varada Nikto’ unlocks the doors. Old Apple IIs had a DB19 connector for external floppy drives. Some old macs, pre-PowerPC at least, also had a DB19 connector for external floppy drives. These drives are incompatible with each other for reasons. [Dandu] has a few old macs and one old Apple II 3.5″ external floppy drive. This drive can be hacked so it works with a Mac Classic. The hack is simply disconnecting one of the boards in the drive, and it only reads 400 and 800kB disks, but it does work. The US Army is working on a hoverbike. Actually, it’s not a hoverbike, because it doesn’t have a saddle or a seat, but it could carry 300 pounds at 60 mph. That’s 136,000 grams at 135 meters per second for the rest of the world out there. This ‘hoverbike’ will be used for very quick resupply, and hopefully a futuristic form of jousting. Over the past few months, we’ve seen a few new microcontrollers built around the RISC-V core. The first is the HiFive1, a RISC-V on an Arduino-shaped board. The Open-V is another RISC-V based microcontroller, and now it too supports the Arduino IDE. That may not seem like much, but trust me: setting up the HiFive1 toolchain takes at least half an hour. The NAMM show has been going on for the last few days, which means new electronic musical gear, effects pedals, and drum machines. This is cool, but somewhat outside our editorial prerogative. This isn’t. It’s a recording studio using a Rasberry Pi. Tracktion is working on a high-quality digital audio input and output add-on for the Pi 3. This is really cool, and you only need to look back at MPCs and gigantic Akai samplers from 15 years ago to see why. Hey LA peeps. Sparklecon is next weekend. What’s Sparklecon? The 23B hackerspace pulls out the grill, someone brings a gigantic Tesla coil, we play hammer Jenga, and a bunch of dorks dork around. Go to Sparklecon! Superliminal advertising! Anyone up for a trip to the Northrop ham meetup next Saturday? 2016 was a great year for Open Hardware. The Open Source Hardware Association released their certification program, and late in the year, a few silicon wizards met in Mountain View to show off the latest happenings in the RISC-V instruction set architecture. The RISC-V ISA is completely unlike any other computer architecture. Nearly every other chip you’ll find out there, from the 8051s in embedded controllers, 6502s found in millions of toys, to AVR, PIC, and whatever Intel is working on are closed-source designs. You cannot study these chips, you cannot manufacture these chips, and if you want to use one of these chips, your list of suppliers is dependent on who has a licensing agreement with who. We’ve seen a lot of RISC-V stuff in recent months, from OnChip’s Open-V, and now the HiFive 1 from SiFive. The folks at SiFive offered to give me a look at the HiFive 1, so here it is, the first hands-on with the first Open Hardware microcontroller.